My tween son LOVES the first How to Train Your Dragon film. Hiccup, Toothless, and Astrid have gone beyond the movie and drive his imagination. We recently bought him a Toothless toy and he has spent much of the first weeks of summer running around the house playing with it. (I’m thrilled that he’s face is not stuck in a video game!) So, I was skeptical if the second film could match the wonder and adventure the first movie had. I’m thrilled to say that How to Train Your Dragon 2 exceeded it. Picking up on the story five years later, the film goes on an adventure when someone is threatening to destroy the peaceful relationship that Hiccup has established between the Vikings and humans. My entire family laughed, cried and gasped in certain parts of the film – really a great movie. “I think that’s what is so awesome about animation. Latinas can play a Viking. It’s about creating a world that requires the suspension of our beliefs. It’s so much fun and I’m so glad they were looking for the essence of the character instead of looking for someone that looked like her. How to Train Your Dragon 2 is now playing in theaters. 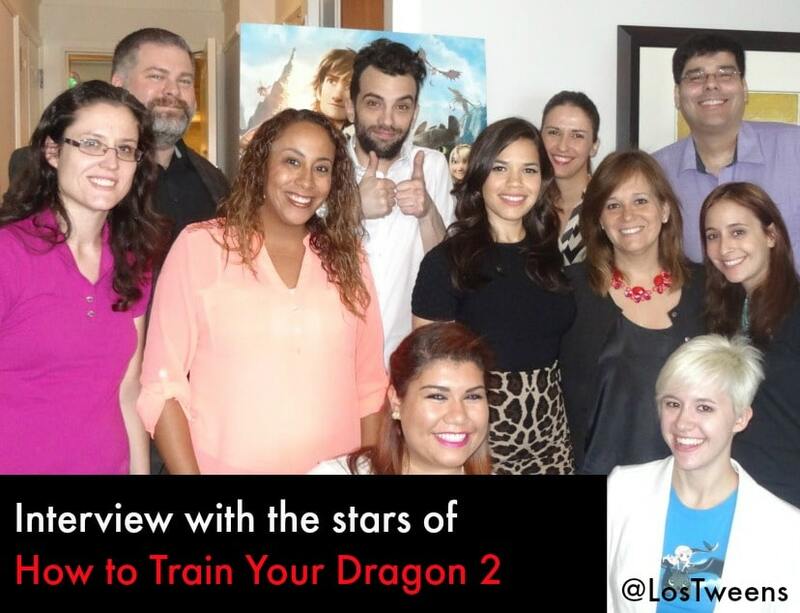 Did you see How To Train a Dragon 2 yet? Did your family love the first film? What are your thoughts? This entry was posted in Entertainment, Movies and tagged America Ferrera, Dean DeBlois, How To Train Your Dragon, interview, Jay Beruchel, Movie, stars, teens, Tweens. Bookmark the permalink. ← [Ask Lina] How should I deal with my teen’s anger? NYC company. According to the product label, this packaged poun cake contains two servings. ” It might be repaired by filling it with a polyester, epoxy or cement based filler material colored to match the stone.